A generous bartender in the village of Villadeciervos had told us beforehand that there were two forest rangers in this area. One who liked wolves and another who did not, nor anyone who came to look for them. So when we heard the slow approaching sound of tires on the dirt road behind us we were a little worried. We knew it was one of the rangers, no one else travels through these remote hillsides, but we didn't know which one. We were in the Sierra de Culebra mountains of Spain, and we were most definitely there to look for wolves. Coming to a stop at the crest of the hill, the ranger opened the door of his forest green pickup truck, took one last drag before he ground his cigarette into the dirt, and approached us. At this point I should mention that I speak very little Spanish. Lucky for me, however, my wife is from Madrid. "Hola," came the graveled greeting from the ranger. He asked us if we were here to try and see the wolves, and we answered yes, as he looked over the valley below. Dark clouds rolled by and threatened rain while the sweet smell of pine hung in the air. The ranger asked if we had a spotting scope. We said no, only binoculars. His response was short, "you will see nothing." The ranger then spoke directly to me in rapid Spanish and I responded with what must have been a very perplexed expression. Turning to my wife he spoke further. "What did he say?" I asked her. "He asked if you speak Spanish. I said only a little. Then he said you should learn Spanish." He asked how long we would be in the area and we said a few days. The ranger then looked out over the valley again, this time with his binoculars. Not saying a word, he turned around and walked back to his truck. I was pretty sure I knew which ranger we had just run into. Getting to his car, he reached into the back and pulled out a spotting scope and black tripod. Cupping his hand against the cool wind to light another cigarette, he walked back over to us. Setting up the scope on its tripod, he meticulously scanned the brush below. Lifting his head he turned to us with the cigarette tucked in the corner of his mouth. "When you leave, give the scope to the bartender in the village, tell him it's for Pedro". He climbed back in his truck and left. Before dawn on our third day, we walked along the dark forestry road, the gravel crunched under our boots in the December morning chill. Arriving at the top of the hill, we setup the borrowed scope and waited for the morning glow. As the sun rose over the landscape, it slowly burned off the mist that clung to the heathered valley below. In the early light, three giant red deer stags burst out from the pines into the open. The stags, which are closely related to North American elk, stopped and grouped together, anxiously looking around them. They looked nervous. Then, a few hundred yards behind the stags, four wolves, flush in their thick winter coats, trotted confidently down towards the deer. One wolf promptly broke off from the rest of the pack and sprinted at the stags. Chins raised and antlers dipped, the stags rushed off towards the hills. After a few seconds the wolf gave up the chase. It was only a test, seeing if one of the stags was ailing or in any way slower than the rest. The pack regrouped in the open field, tails high, noses touching, reestablishing their bond. Then, just as suddenly as they had appeared, the pack melted back into the pines. That evening the bartender greeted us with a smile as I placed the scope on the counter. "Tell Pedro we say thanks." How you can see the Iberian wolf: If you find yourself in Spain I'd say skip the cathedrals and go find a wolf. Spain's wildlife has yet to receive the attention it deserves and the Iberian wolf, a distinct subspecies, is one of its crown jewels. 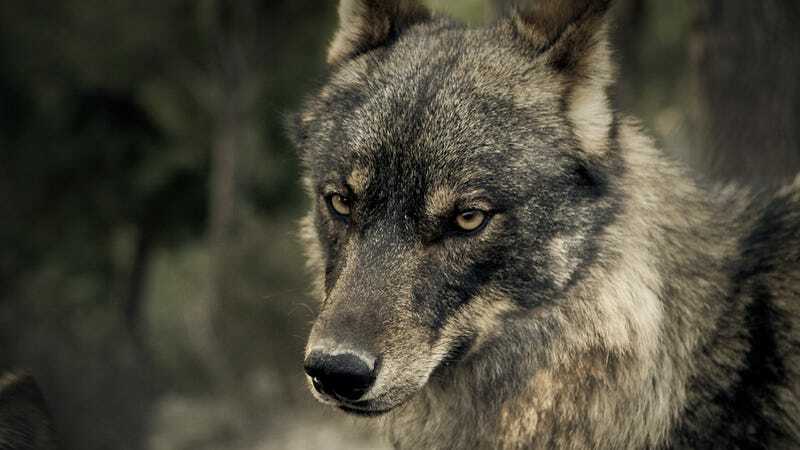 With the current population estimated at over 2,000 individuals, Spain offers one of the finest chances to see wild wolves, not only in Europe, but also in the world. The best place to see wolves in Spain is in the rolling hills of Sierra de la Culebra. The large region is characterized by open heather valleys with interspersed pine plantations. Although it is by no means the most remote area in Spain, it is full of wildlife. There are a few tour operators who offer guided trips, but if you're feeling more adventurous you could head out by yourself, as we did. Locals in the town of Villadeciervos are extremely welcoming to visitors, and are more than happy to offer advice. Most visitors to the area arrive in the summertime, however I would recommend travelling in the winter both to avoid running into anyone else, but also to see the wolves in their glorious winter coats. Another spectacular region of Spain with wolves are the remote mountains of Asturias. There, you can see amazing scenery and have the chance to see both wolves and brown bear. If you're lucky, that is. Seeing a wolf is never easy. If you're going on your own bring good optics, find a good vantage point, and wear clothing that can protect you against the elements. The best times for seeing wolves are dawn and dusk, so wake up early and stay out until dark. You just might see something special.